The Cape Town & Western Cape Convention Bureau has thus far secured 47 bids for international events between 2011 and 2016, which are estimated to have a combined economic impact of R590 million. 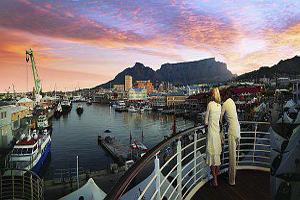 Among the conferences Cape Town has secured are the World Congress of Paediatric Cardiology and Cardiac Surgery in 2013, which will attract 5 000 delegates, Options on the Control of Influenza VIII Conference in 2013, which will be attended by 1,500 delegates and the 35th International Geological Congress in 2016, which is set to attract 10,000 delegates. Speaking at the Southern African Association for the Conference Industry’s national conference held in Cape Town at the end of July, Calvyn Gilfellan, chief executive of Cape Town Routes Unlimited, which promotes Cape Town and the Western Cape as an events and business tourism destination, said that of the 42 submissions the CTWCCB made in the 2010/2011 bidding year, 18 were secured. These have a combined estimated economic value of R250 million.